A grand adventure awaits! Climb aboard the full service Island Packers boats in Ventura Harbor and enjoy a one hour cruise to our island destination. Students view and study whales, dolphins, marine life and the scenic 17 mile ocean channel en route to the most unique and spectacular marine science experience available to California students. Santa Cruz island allows access to miles of scenic hiking, freshwater springs, Chumash middens, archaeology & fossil sites, the sacred grove, kayaking, snorkeling and so much more. Science opportunities like none other exist in this closed system environment as students study adaptations and invasive plant species, participate in field station research, test water, and view the majestic island fox, striped skunk, and golden eagle in their native habitat. 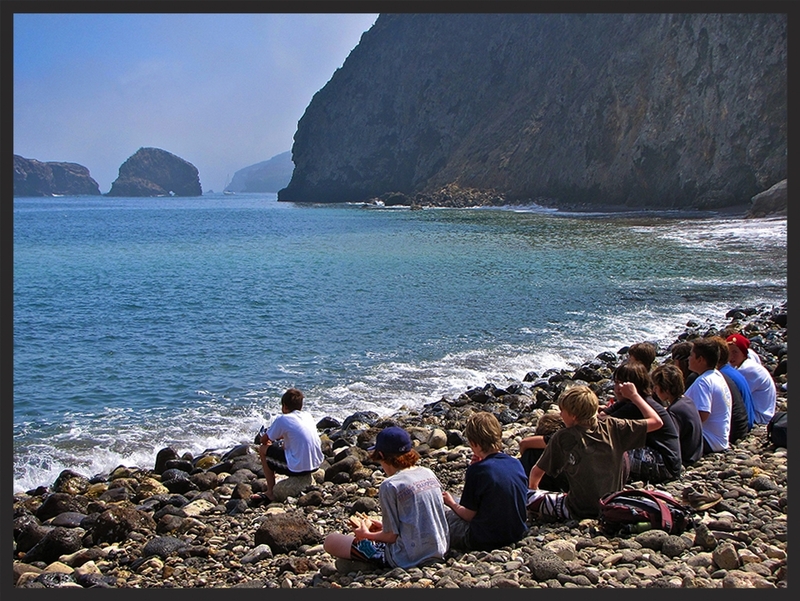 The Santa Cruz Island Immersion is a great bonding experience for students grades 5 - 12 and works well as a 3 - 5 day program. As always the WOLF staff provides excellent food, camp, tents, lighting and creature comforts to make every trip a 5 star camping experience.